I was lucky enough to get my hands on a ipad2 the day they were launched in South Africa. Its really an awesome gadget and I’ve enjoyed every moment playing on it. 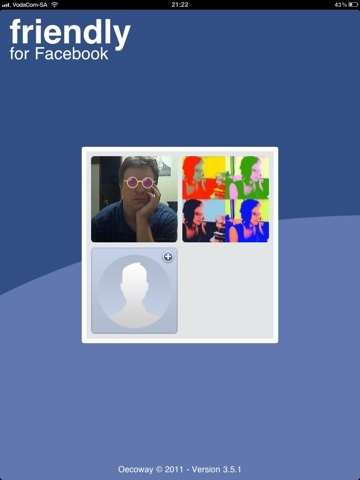 Friendly – facebook app. 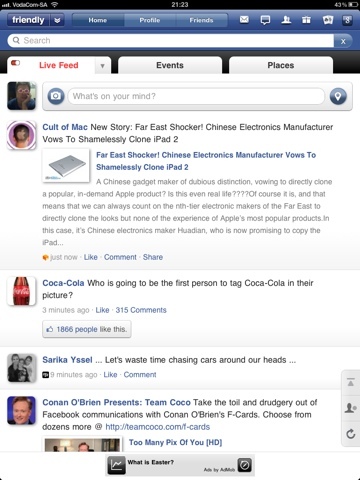 With this app you can set up multiple FB accounts and easily access all your facebook feeds and utilities. When you open the app, you simply tap the account you want to use and it will log in. Feeddler – rss feed. 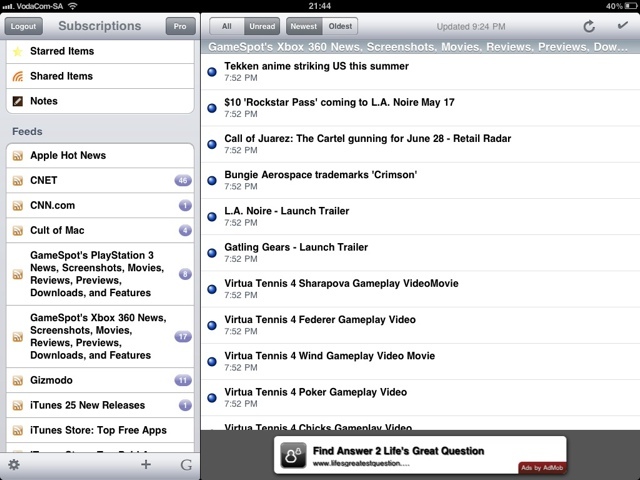 With feeddler you can you can easily setup your favorite rss feeds for easy reading. If you have a google reader account you can use that too and will display your subscribed feeds. 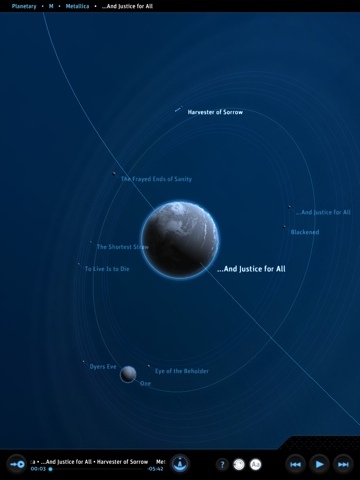 Planetary – music player. 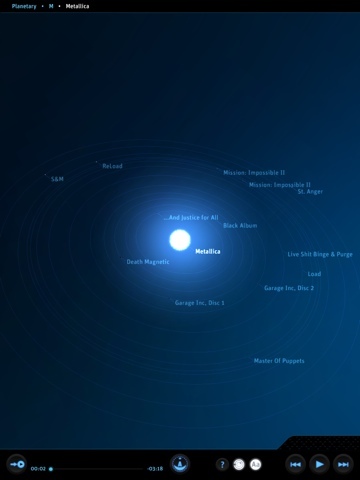 This player represent your music library as a galaxy and you can then zoom in to artist (solar system), album (planet) and songs (satellites). 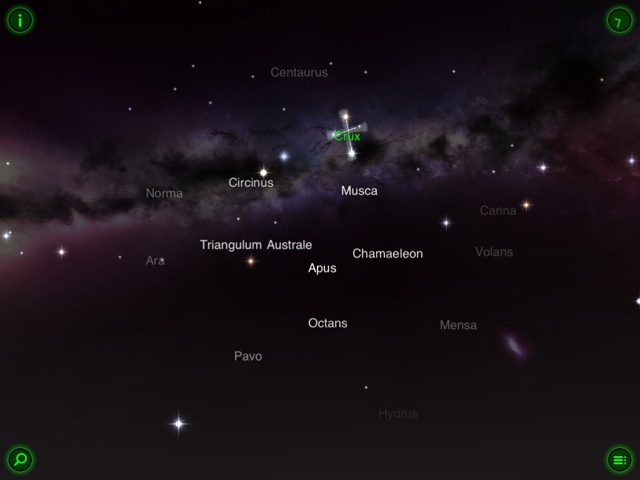 Star walk – galaxy exploration. 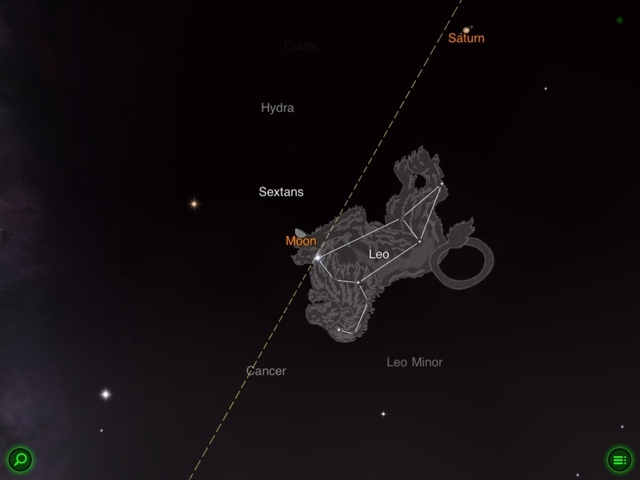 Star walk uses the gps and gyroscope to plot the stars as u move the ipad against the night sky. 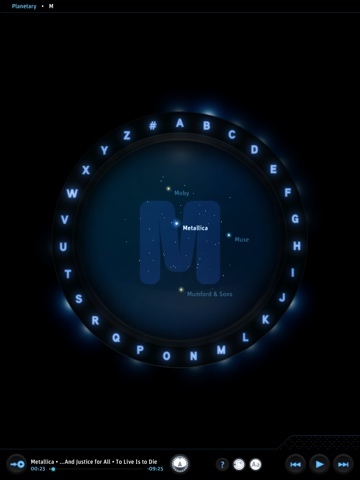 You can then tap on a star, planet or satellite to get more info on it. 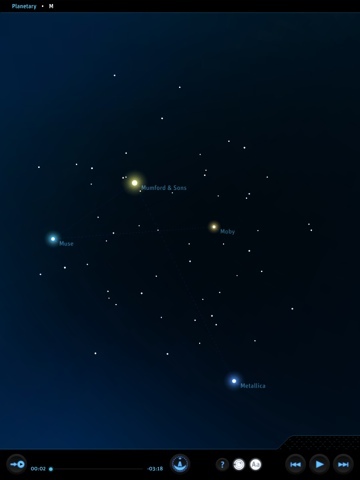 It will also help you find constellations as well as dislay info on the sunrise, moonphase etc. So these are only a few of the apps I’m currently using and hope to add some more posts on the others soon. I’ll also post some how-to articles, so let me know what you need! By the way, this post was written using only my ipad. The first thing I noticed was how stripped down and uncluttered the interface is. Google has also integrated the address bar with the search bar. 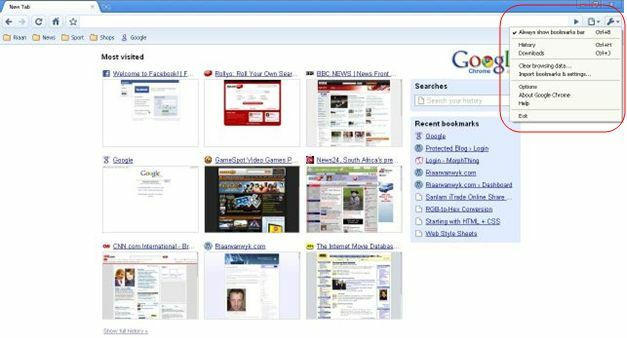 So instead of going to a search engine site or using a search bar, you can simply type your search terms in the address bar and it will return your results in the main window. The search engine it uses for this is selectable by you and you can change it at any time. Another nice feature is that the default homepage contains thumbnail links to your most visited websites, and your most recenlty used bookmarks are on the right hand side. 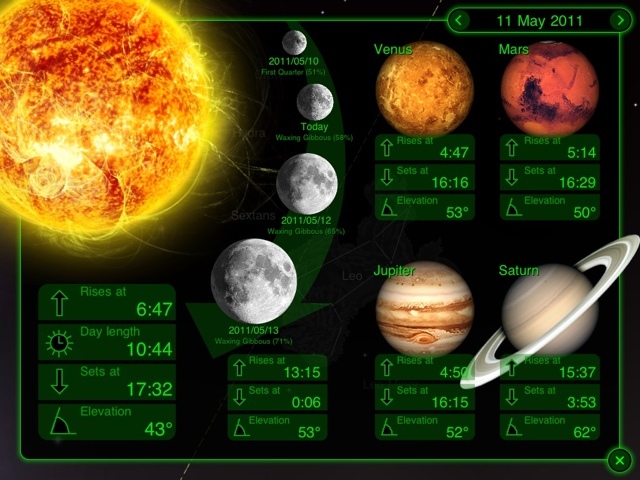 You can enable the bookmark bar and add your bookmarks directly to it. 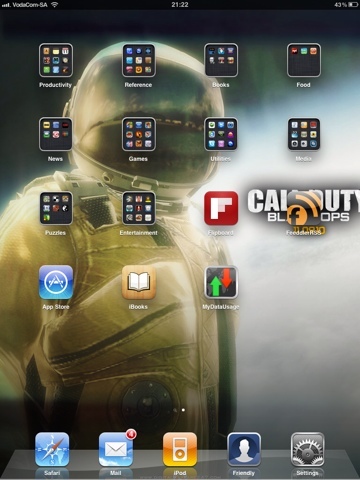 You can also group it in folders. All your other bookmarks will be kept on the right hand side in a folder called “other bookmarks”. Like most browsers these days it also supports tabbed browsing. 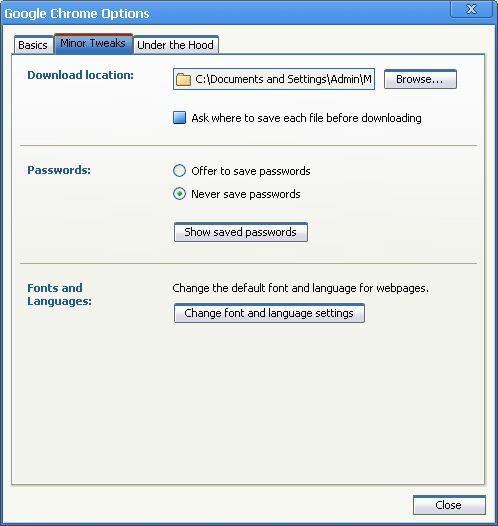 On the right of the address bar is the page and settings icons. 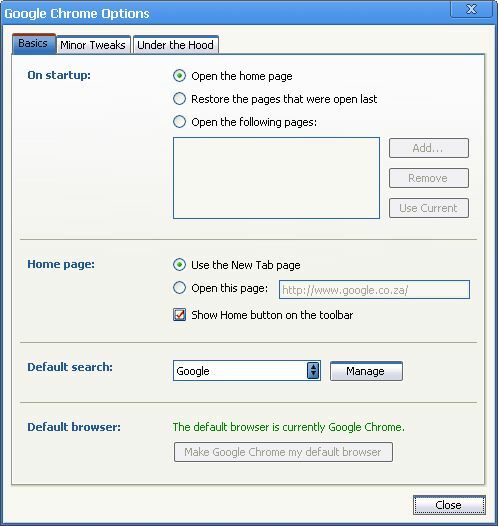 With the page icon you can open new windows or tabs etc. You can change your default settings using the settings icon. 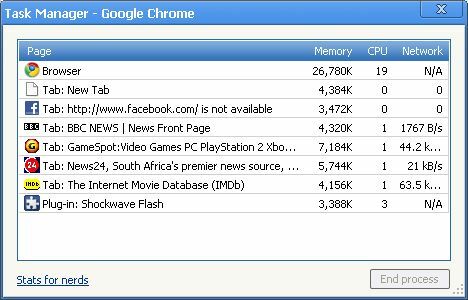 Chrome also has a nice advantage in that every tab runs in its own memory space – this means that if something in a tab crashes, only that tab will go down and not the entire browser. Chrome also has its own taskbar where you can monitor how much resources a particular tab uses. 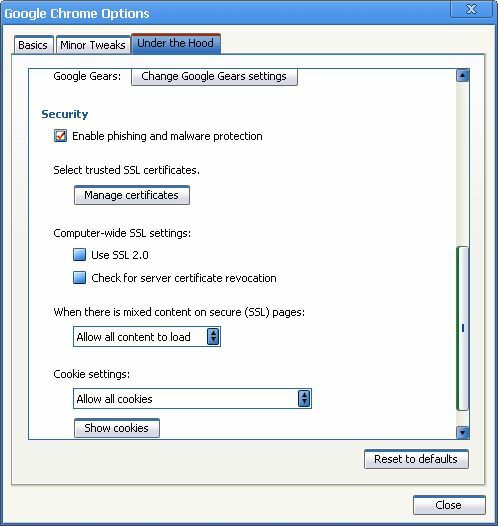 On the privacy side it also has a feature –incognito mode- where you can browse a page and it will not show up in your history. It will not save any of your searches in this mode. It will also wipe the cookies once you close it. 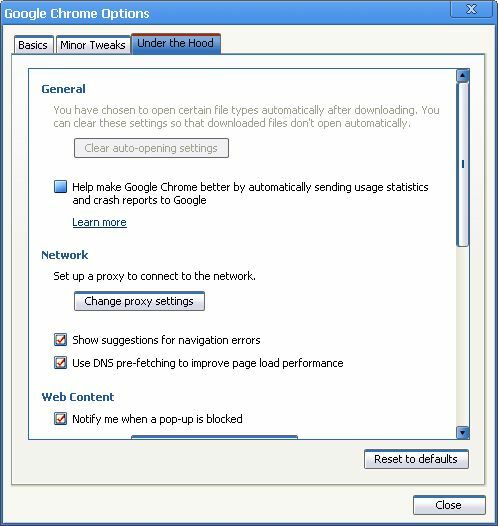 You can open an incognito window from the page options or rightclick on a link. I’ve only used Chrome now for a few hours, but so far it seems like a nice alternative to the others that are out there.